knitting | Does This Font Make Me Look Fat? 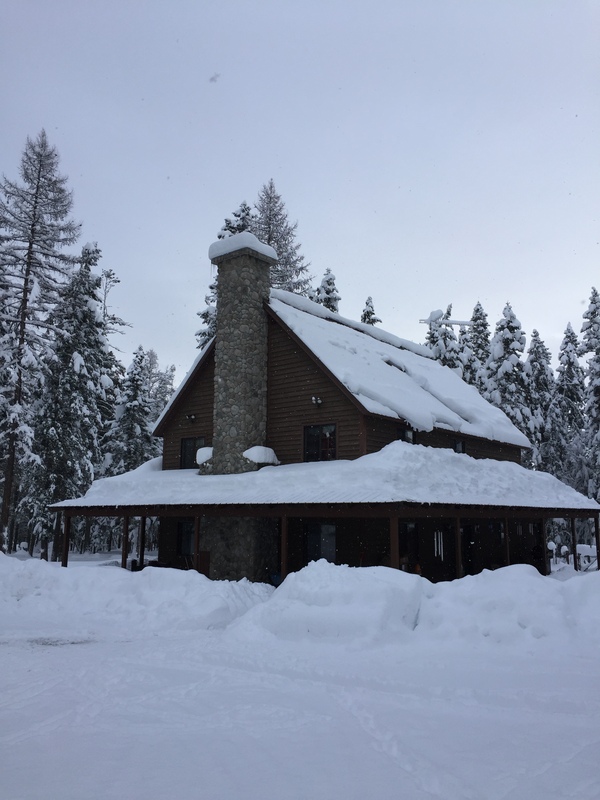 We spent Christmas in Montana with my son, daughter-in-law and two granddaughters home from college. It was snowing when we were picked up at the airport and kept snowing for the next four days. About 24″ in all. 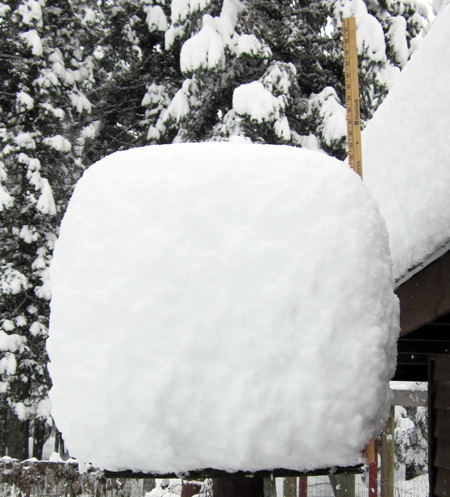 I call this a Montana snow gauge. It’s a piece of plywood on a post and in the summer it’s a bird feeder. In the winter it makes a handy snow gauge. The snow was beautiful. It’s been years since we’ve experienced a white Christmas.The house should be on a Christmas card. In Montana life doesn’t stop because of snow. We drove through snow covered roads to see the new Star Wars movie. I have to say I was a little disappointed. Maybe because I must have missed some of the intervening movies. 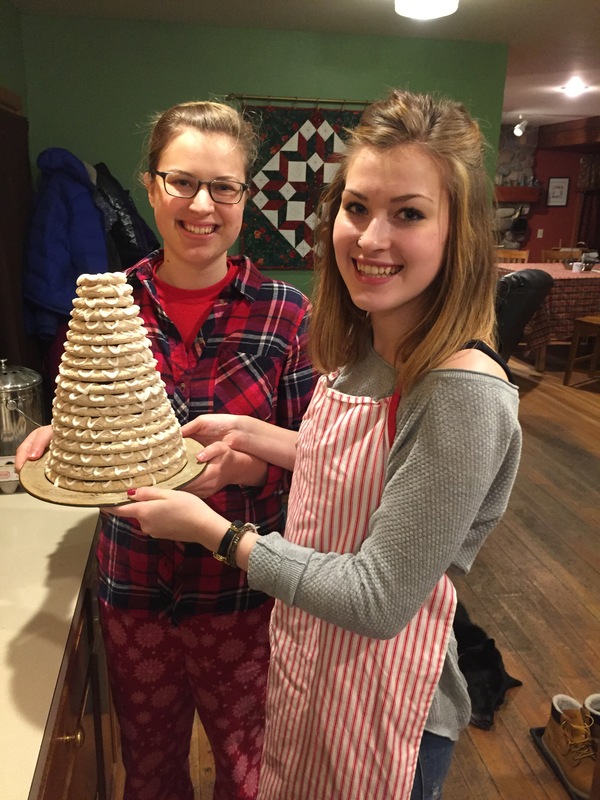 Warm and cozy inside the house, we knit, baked cookies, and my granddaughters made a Kransekakke – a Norwegian wreath cake. The recipe is: 1 lb ground almonds, 1 lb confectioners sugar, 3 egg whites. The dough is rolled into snakes and put into special pans which create 18 rings – each a little smaller than the one before. This has become a tradition for the Christmases we spend in Montana. Traditionally you remove the rings from the bottom up so the tree shape remains. We took a vote and after Christmas dinner (where everything on the table with the exception of a can of cream of mushroom soup came from the homestead), and began eating the cake from the top down. When I posted pictures of the snow on Facebook people responded that they had the AC on on Christmas day on the Eastern Shore. We came home yesterday and today I went to my raised bed at the St. Michaels Community Garden. 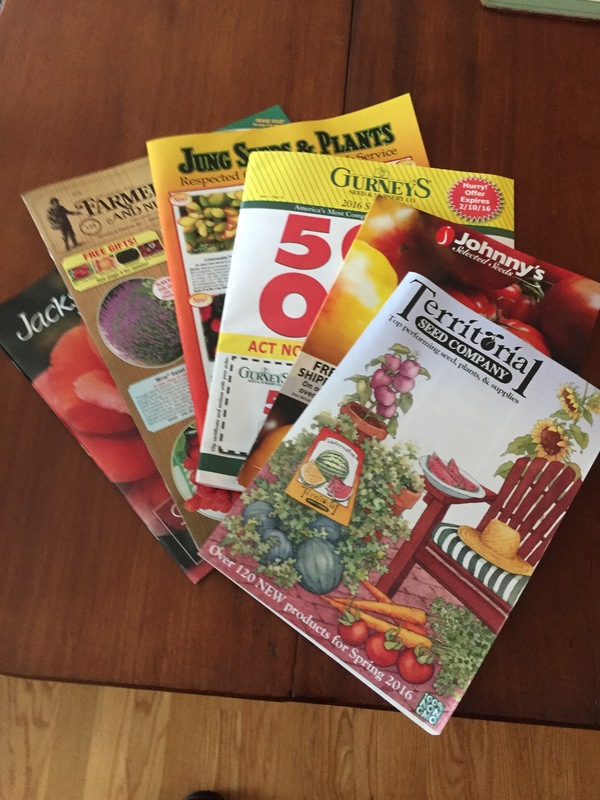 Here’s my harvest from December 29th, 2015. 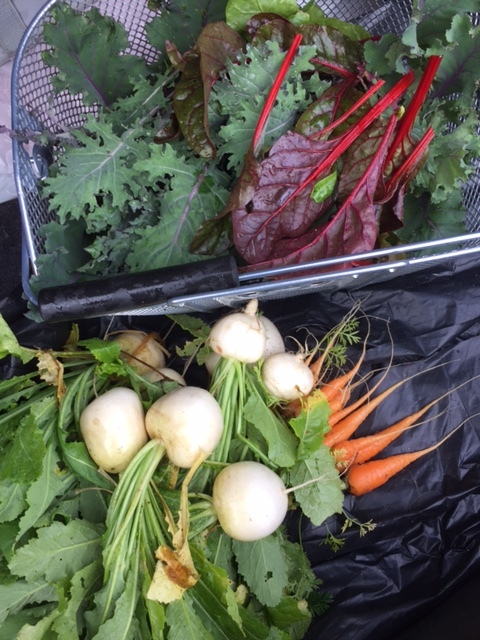 Kale, chard, spinach, hakuri turnips and carrots. Eastern Shore are very confused because of the warm temps. These are the twelve children’s sweaters I knit last year. 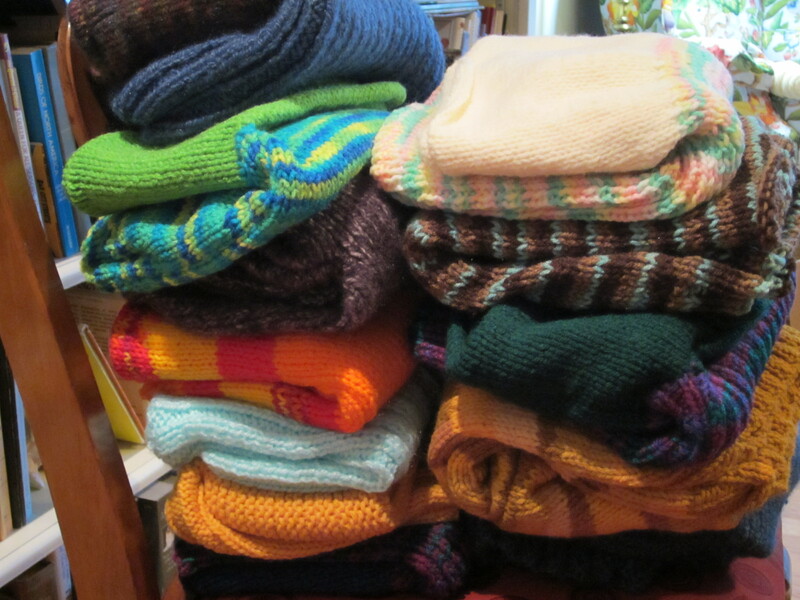 One of my New Year’s resolutions was to get them boxed up and sent off to World Vision’s Knit for Kids program. Last year people knitted and crocheted 53,728 sweaters, hats and blankets which were given to children living in poverty. These will go in the 2014 count. When Laura and I are working on a script, she is the one who is typing it into her computer. 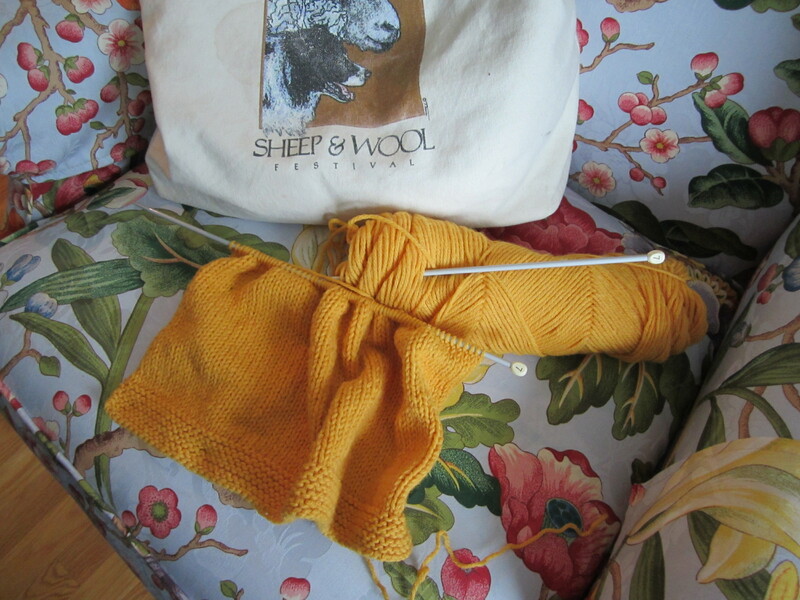 Several years ago I decided I could knit while we were working. These sweaters are very simple and require no counting of rows or stitches. Essentially just a back and a front that have to be sewn together. My problem is that I don’t like the sewing together part so I tend to put the pieces aside and go on to the next sweater. Eventually I had such a pile I had to force myself to stop knitting and start sewing. Then the sweaters lived in my office for months until I finally packed them up a few days after Christmas and trekked to the post office. Only then did I allow myself to cast on a new sweater. Last week we started rewriting The Santa Diaries script. The original script had a male as the primary character because that’s the way the play was written. Not one of those Christmas movies we watched over the holidays had a male as the lead. A couple had a male and a female as dual main characters. If none of the movies that are being sold and made have a male lead, do we really want to try to change that format? So our rewrite started at the very beginning with new scenes and a couple of new characters. And I started knitting again. I predict that there will be several sweaters to be sewn together before we finish this script rewrite.